Overlooking the Pagan River, this unique establishment offers fifteen rooms in the main building, five rooms on the Boardwalk, two romantic suites in a one of a kind Chesapeake Bay Lighthouse as well as twenty two beautifully appointed waterfront rooms in its newly completed Lodge. Amenities include marina facilities, outdoor pool, restaurant and lounge. The menu specializes in seafood with a preference for Smithfield’s own Lean Generation pork, pasta, salads and lighter fare. Breakfast is available on Saturday and Sunday only. Award winning Sunday Breakfast Buffet. Package Plans are also available. 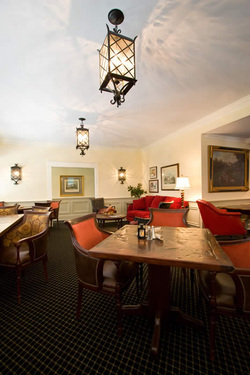 Originally built in 1752, and newly renovated in early 2010, the Inn is located in the heart of the Historic District and has always been a source of hospitality. The New Smithfield Inn will offer lunch Monday through Saturday, dinner Tuesday through Saturday with Sunday Brunch and a special Sunday night family-style dinner from 5:00 to 8:00 p.m. Lunch, dine, or brunch in our new lush, colorful, and mesmerizing garden or the newly renovated tavern and dining room! We have rejuvenated our menus as well, bringing back our famous Sunday brunch, but this time with a New Orleans flavor to complement our treasured Smithfield southern cuisine. Spend the night in one of our historic rooms or suites and your made-to-order southern-style breakfast, will be prepared by Mozelle Brown, who has been with the Inn for 47 years. 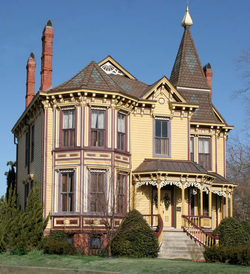 Discover the delights of our down-to-earth atmosphere in a home built at the height of Victorian elegance (1889) and enhanced with modern day conveniences. Savor generous Southern hospitality and home cooked breakfast buffets. Weekend Guided Tours: Tours of the mansion are available on Saturdays and Sundays at 2:30 p.m. Visitors are asked to gather at the Mansion House Art & Antiques Shop (located at 120 N. Church Street, directly behind the garden of Mansion on Main). Scheduled Guided Tours: Tours are also available by appointment. Please provide as much advance notice as possible. There is a $1 per person donation request fee for groups of 15 or more. 10 minutes from the Historic Area of Smithfield. WiFi, Efficiency Equipped Rooms, Handicapped accessible Rooms, Non-smoking Rooms, Whirlpool Rooms Available, Complimentary Continental Breakfast and safe, interior corridors. 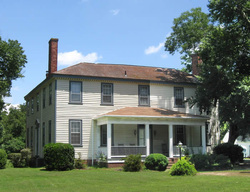 Once known for its foxhunts, the original working plantation is nestled in the quiet countryside. Offers 3 spacious rooms with private bath, full breakfast, and southern hospitality. Member of the Bed & Breakfast Association of Virginia.